Last night, Black Sheep Harmony were thrilled to sing at the recording of the BBC Radio Bristol Christmas Celebration. A hardy few arrived in the afternoon to do a sound check which got us in the mood for the main event later in the evening. We were sharing our green room with a fabulous young acapella group, The Bristol Suspensions, and during the evening were treated to a private performance of two of their songs. Thanks guys! 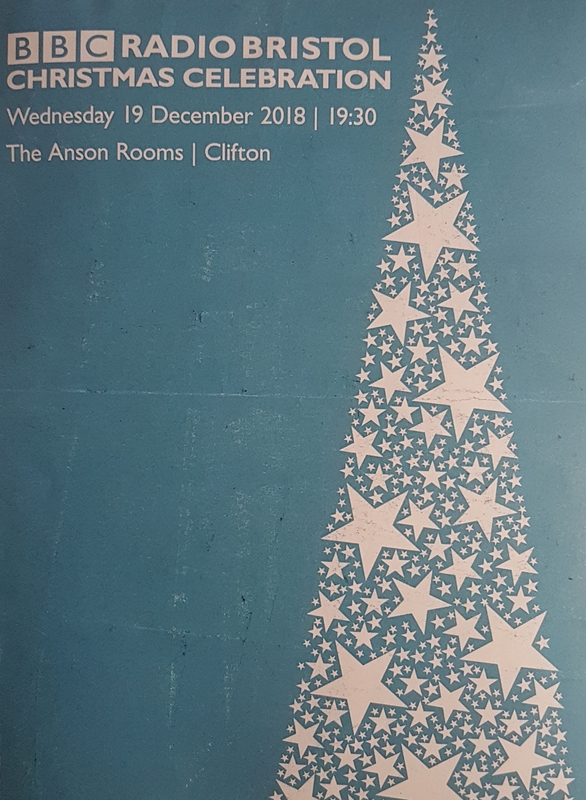 The concert, in aid of “The BBC Radio Bristol Alive Appeal” was performed to a large and very appreciative audience of around 500 people in the Anson Rooms in Clifton. A fantastic selection of excellent local talent was presented, and we were so pleased to be part of it. The appeal is aiming to raise £50,000 to change the lives of older people where we live. We performed two sets of two songs. In the first set, we sang “O Holy Night”, as arranged by our own MD, David Proud, and “It Came Upon a Midnight Clear”. In the second set we treated the audience to “Carol of the Bells” and finished on a high with “Let it Snow”. Sadly, David was poorly with the Christmas lurgy and had to stay in bed with a hot toddy, so the chorus was directed by assistant MD, Sue Davis. It was a great evening, the Sheep sang beautifully and it ended with everyone, audience and performers, singing a fun Christmas song together in a round. A rousing finale indeed! The programme is due to be broadcast by BBC Radio Bristol on Christmas Eve at 6pm and again on Christmas Day at 9am. Tune in and enjoy! The Black Sheep have got the festive season off to a flying start with three very different, but all fantastic sing outs. Firstly, we sang at a special Christmas promotional event at Fonthill Garden Centre, Bitton. What a great evening! There were mince pies, Christmas treats from various local producers and a brass band to complete the festive feel. Thanks to the lovely staff and customers at Fonthill for a fab-ewe-lous evening. 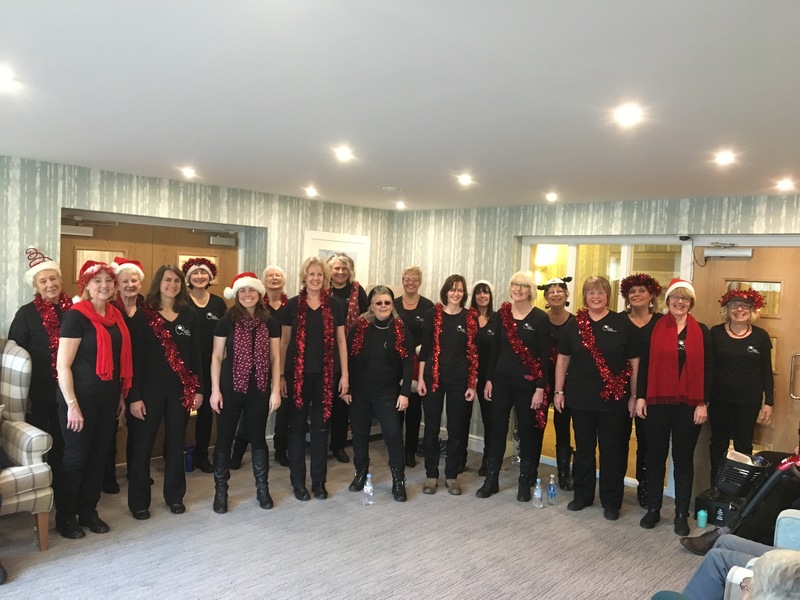 Then, on a rainy Saturday morning we were invited to sing at Tesco Staple Hill as part of the Christmas on the Hill event where we were able to raise money for our chosen charity, Young Minds. Thank you to all the lovely shoppers for their donations and to the Tesco staff for making us feel so welcome. The chocolate reindeer were a real treat! We then decamped to Hanham where we had a stall at the Christmas Fair, then finished the day by singing for the Hanham Hall Residents and their children. The grownups loved the singing and the children were so excited to be visiting Santa in his grotto. Susie, the organiser said “I just had to tell you how much I LOVED your choir this evening . What an amazingly enthusiastic choir you are, with beautiful strong voices and fantastic harmonies. I loved the whole ‘oneness’ of your choir and the diversity of your repertoire. You were all mesmerising and magical”. It was a busy day and a lovely evening rounded off with mulled wine and mince pies. 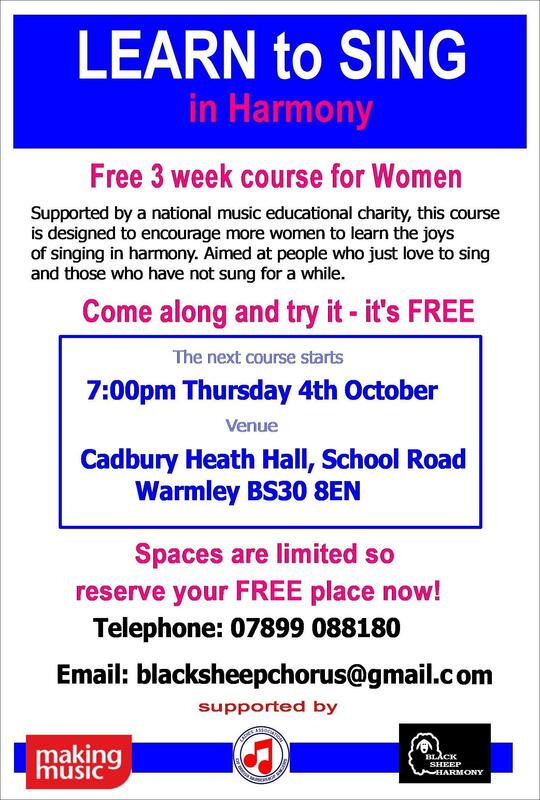 Black Sheep Harmony are pleased to invite any interested ladies to join our Learn to Sing in Harmony Course. Here's the Cake Rota for the following few months! Our review of 2017. What a year! A year in the life of Black Sheep Harmony. See and hear what we get up to as a matter of course! Here at Black Sheep Harmony, not only do we sing well but we craft well too. 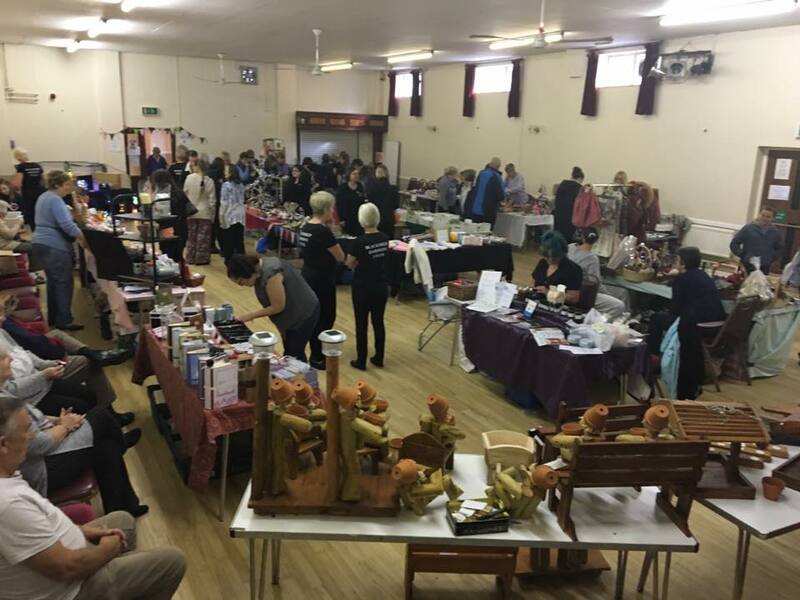 So, early in 2016 we decided to host our very own craft fair. We hired the hall, contacted stall holders, recruited volunteers to make cakes and sell teas and coffees on the day, had a huge banner made for outside the hall and decided we would sing a few songs on the day. It was a huge success. We worked hard, getting to the hall early to set up the tables and organise the stall holders and help them set up. The doors opened at 10am and people drifted in and spent their money on unique handmade items. We all took a turn in the kitchen, selling refreshments and homemade cakes and we sang a few songs for the shoppers and stall holders. The feedback from the stall holders was excellent – some of them said it was one of the best fair’s they’ve done. We packed up at 13.00 exhausted but pleased that it had gone well. And, we are doing it all again this year but bigger and better. This year we will be at Chipping Sodbury Town Hall and have 30+ stall holders booked for our event on 11th November 2017. On a smaller scale, we have a craft table at our rehearsal on the first Thursday of each month. Members bring all sorts to sell – this month we had beautiful handcrafted sets of 3 tubes on wooden stands filled with sweets, bath salts and gin (Gin does feature quite prominently with us Sheep! ), handmade cot blankets and tote bags, homemade fudge and handcrafted gin(see what I mean!) and home-grown vegetables and plants. Last month we had hand sewn aprons, bags and bunting. We raised over £50 for our funds this month. So it’s not all about singing – it’s about crafting too! The Black Sheep entertain Chipping Sodbury. On a crisp and sunny winter Saturday in early December, the Black Sheep brought Christmas cheer to Chipping Sodbury. Our Christmas repertoire had its first public airing of 2016 at Barnhill Court where the lovely residents gave us such a warm welcome. 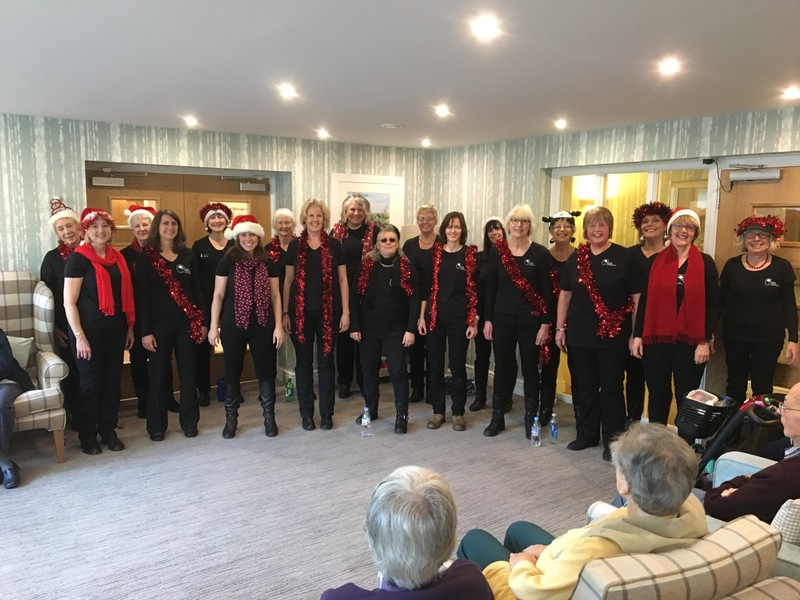 We entertained them with a wide variety of Christmas arrangements, some carols, such as "Silent Night" and "The Coventry Carol", popular songs, "Let it Snow" being the chorus favourite, and even a Wassail thrown in for good measure! We were then treated to hot drinks and delicious cakes which helped keep us warm as the afternoon unfolded. And my goodness, did we need keeping warm! As we left Barnhill Court, the glorious winter sunshine had been replaced by threatening clouds and a very chilly wind! We then took part in the festivities of the Chipping Sodbury Victorian Day. There was so much going on, many stalls selling everything Christmassy, gifts, foods, treats, even mulled wine! There were a variety of working steam engines and steamrollers, all kept in tip-top condition, despite their age. There was even a Town Cryer! As darkness fell, the lights twinkled as the steam drifted by. The Black Sheep followed some fabulous displays of dance and gymnastics from very talented young people, and we assembled on the trailer. As we sang our Christmas repertoire, wrapped in our Christmas scarves and hats, decorated with tinsel, the audience grew and became ever more appreciative. David, however, became ever colder as he was receiving the full blast of the icy wind! It is always challenging singing in the open air, but we rose to the challenge, and were very well received. It was a lovely, festive start to our Christmas season, and we are looking forward to many more sing outs in the coming weeks. Singing Can Take Over Your Life. If there's one thing I've learned about singing it's that you need never stop learning about singing! There is always further to go, more to learn. When I first started singing it was in the chorus of a small amateur dramatics group. Productions are taken very seriously and much work goes in to learning words and tunes. When I was cast in my first principle role, acting and singing solo, I thought it couldn't get more serious than that. Singing solo is a different ball game, and holding a tune against an orchestra and chorus is challenging, even when it's s a well known melody. As I became more comfortable with battling the orchestra alone, the next step was duetting with another character and it was then that I started being asked to sing simple harmonies. This awakened in me a love for singing in harmony which just cannot be satisfied by singing solo. Fast forward a year or so and I joined a local choir. The leap from show tunes and old time music hall to classical and sacred music was exciting, and the choir sang in four part harmony, soprano, alto, tenor and bass (SATB) and singing alto, I was able to scratch that harmony itch! In both of the choirs I have sang in, singers are allowed to use sheet music, and whilst this is a useful crutch, it does mean that often the singers are not following the primary rule...."Watch the Conductor". Again, I thought that singing couldn't get much more challenging. Then it happened! A friend from my drama group invited me to join a small, newly formed group called Black Sheep Harmony Ladies Chorus. She told me that they were ladies who sang in four part harmony in the Barbershop style. Having only heard Barbershop on The Simpsons, I thought I knew what I was letting myself in for. I was mistaken. From the first chord I was hooked, it was completely different to anything I'd done before. 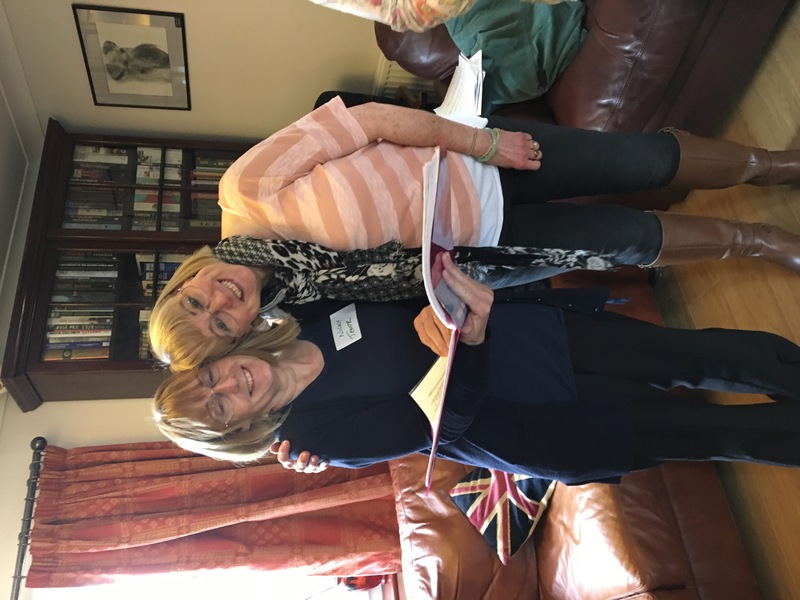 The learning is done differently, instead of practicing with music at rehearsal, the learning is done at home with teach track and sheet music, so that when you get to rehearsal, you can start singing the song straight away. All without any instruments, and eventually without sheet music!! Vocal lines are named after the male Barbershop lines of tenor (the highest harmony part), lead (usually but not always sings the tune), baritone (fills in all the fabulous harmonies in the middle) and bass (the lowest of the harmony parts). I was lucky to be asked to sing baritone, a vocal part as rewarding as it is challenging. But if you thought that singing was just getting the right words and notes in the right order, then think again. There is so much more to it! Every week, we are given lessons in techniques to improve vocal quality, breathing, vowel matching, even posture. It all affects the sound made by the chorus. 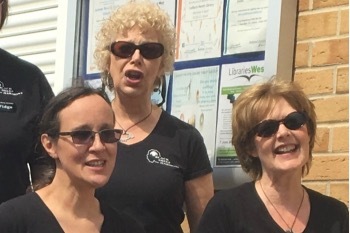 Thanks to joining Black Sheep Harmony, I now have the absolute pleasure to sing with three other chorus members in a quartet called The SongSmiths, and we have competed on the national stage as well as singing at local concerts and events. I feel that maybe this could be the pinnacle of my singing, that my singing "career" has led me to this point, and yet, I still have so much to learn. I am still on my musical journey, along with all the other ladies in the chorus and quartet, and it is such a joy! 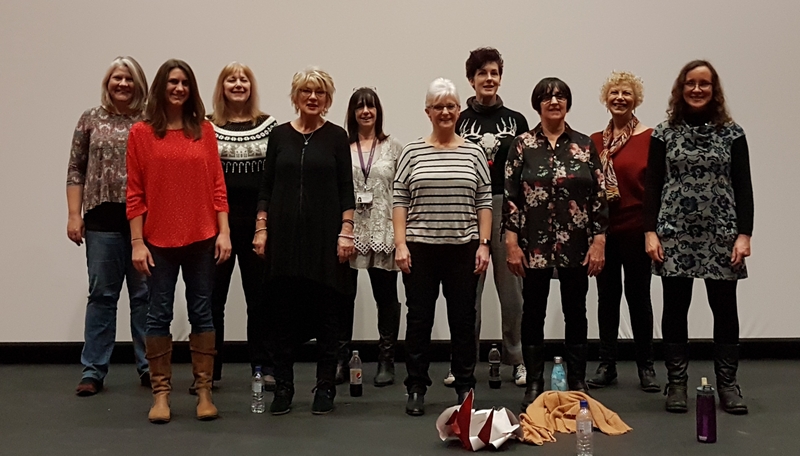 Singing with others in close harmony brings people closer together, and the sense of achievement when it all goes right is incredible, it really does make you feel good. On becoming a Black Sheep! 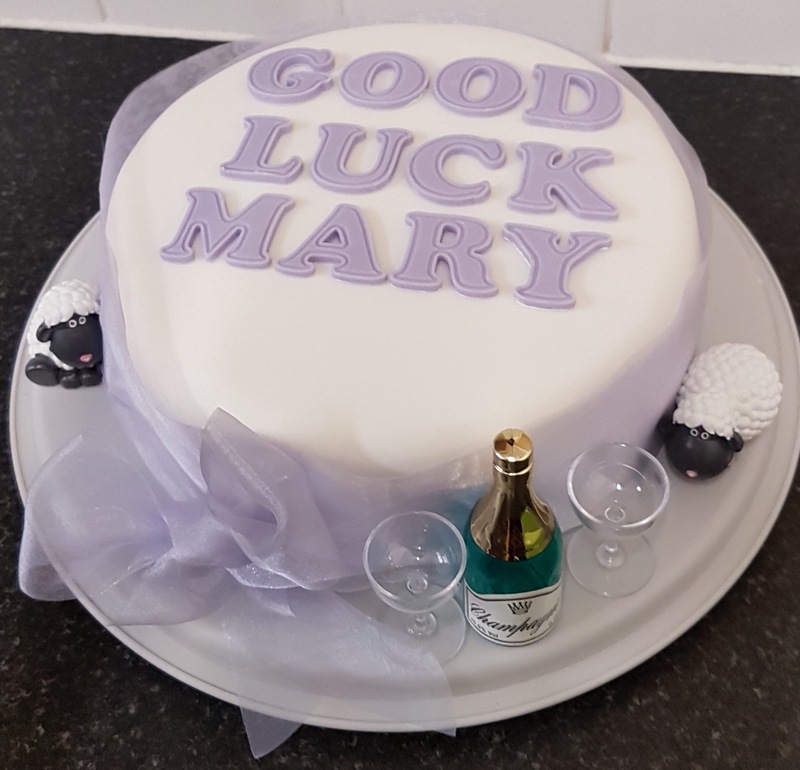 Well, who would have thought this time last year that I would have singing as a new hobby……and be a sheep?! Certainly not me. I have always liked singing, but all I had done in my role as a nursery nurse in school was leading 3 to 4 year olds through rhymes and songs each with an average of four rhyming lines to learn. No great feat! In fact, I wasn’t even sure I could sing grown-up stuff. Oh and I did get as far as grade 1 piano aged 7, but that really is as far as my musical knowledge went. So it is with great pleasure and surprise that I find myself immersed in this new pastime. It has be en an exciting challenge and revelation to find that, I DO have the ability to learn the words and sing the notes of the BlackSheep repertoire. This is all due to the wonderful opportunity to join the 'Learn2sing' course last September. 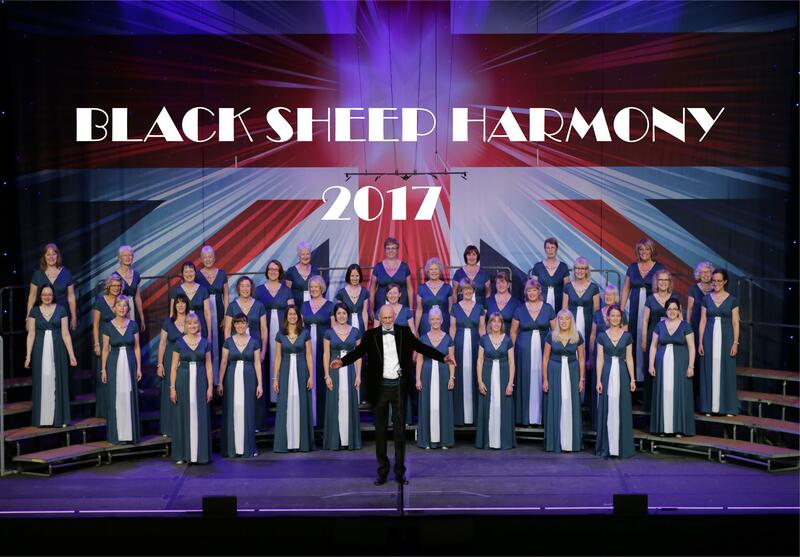 When I first heard BlackSheep sing, I was bowled over by the fantastic sound, complicated harmonies and a singing style which I had hardly ever come across before. As I loved what I heard, so my journey began. Under the exceptional encouragement of David. With the terrific support, time and patience offered by Kathy. Along with the welcome from all the chorus, I began to think that maybe I can sing a bit. So, with the aid of sheet music, teacher tracks and time spent very definitely alone in the kitchen, here I am enthusically learning all the songs and starting to make "sheep puns". 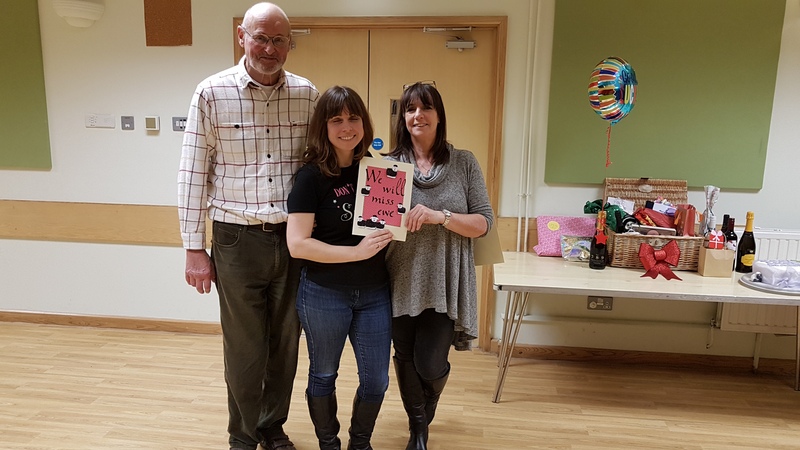 I have found that becoming a BlackSheep (it is great to have a darker side when known as ‘Mrs Sensible’) has meant joining a group of people who offer friendship, laughs, fun, challenge and experiences that are often on the unusual side. I’m really pleased and grateful that I have had this opportunity to realise the joy of singing. 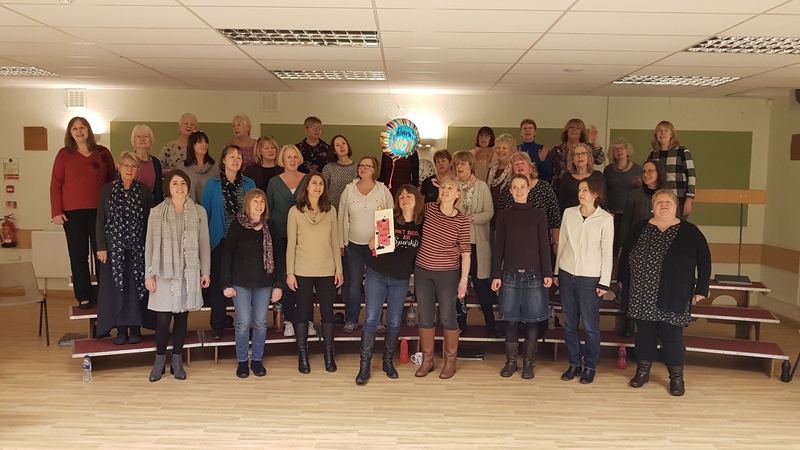 This new world only opened up because of the huge amount of work, organisation and commitment the chorus made in starting the Learn2sing classes, and all the support offered since then. One gin and six straws! 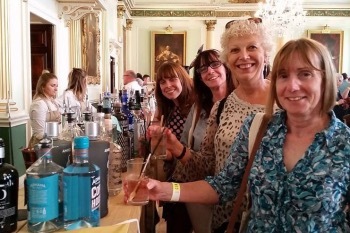 We had a luvverly time, the day we went to the Gin Festival. A small flock of six thirsty sheep met up on the train and went to Bath to take part in the Gin Festival being held in the Guild Hall. It was a very civilised affair and wh o knew there were so many gins? About 120 of them we were told were there ready and waiting to be tasted. So not wishing to disappont any of them, we set about the difficult task of choosing just four of them (£20 bought you a four-drink card). A few free samples to start with got us well in the mood and soon we were learning all sorts of facts about gin apart from what it tasted like. Did you know gin is made from potato vodka, for example? So many different things are added to it to enhance its flavour (anything from anise to sweet violets) and we quickly worked out which ones were our favourites. Now, what do you get when you mix girls from the chorus and gin together? Well.....singing as it happens. Somebody (I wonder who that could be) produced a pitch pipe and off we went. We hadn't been singing for long when a lady came up to us and asked "Are you from The Black Sheep?". Our fame spreads far and wide it would seem. She'd been to the concert at St Stephen's and had recognised us.. She said we were just as great then as we were at the concert. She wasn't the only one to notice us as what started out as a cheeky little sing in the stairwell turned into a full blown performance to about 300 people. The host for the event heard us singing and asked us if we could sing in the main hall, Before we knew it we were up on stage with two microphones in front of us, singing to the entire massed assembly. We went down a storm and we were given free gin tokens for our efforts. One girl who'd heard us sing was so impressed she came over and gave us her last gin token for us to share. Hence the caption - one gin, six straws! 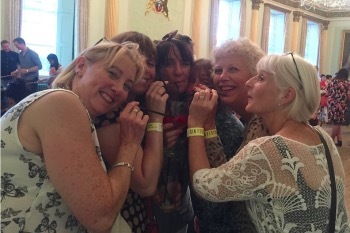 It was a fabulous fun day, so many thanks to the 'gin singers': Kathy, Ann, Sue D, Nicky, Mary W and Noey (me!). Next year it's my intention to do it all again, this time with a full chorus. Get ready! One warm evening on July 9th 2016, over a dozen Black Sheep took to the streets of Bristol after a busy day to raise money walking five miles. It was for St. Peters Hospice who nurse people who are dying from terminal cancer in their caring and loving environment. It is a subject very close to our chorus' heart having lost our tenor friend Jill earlier this year. She was diagnosed less than a year before and sadly she passed away in the care of St. Peters Hospice. 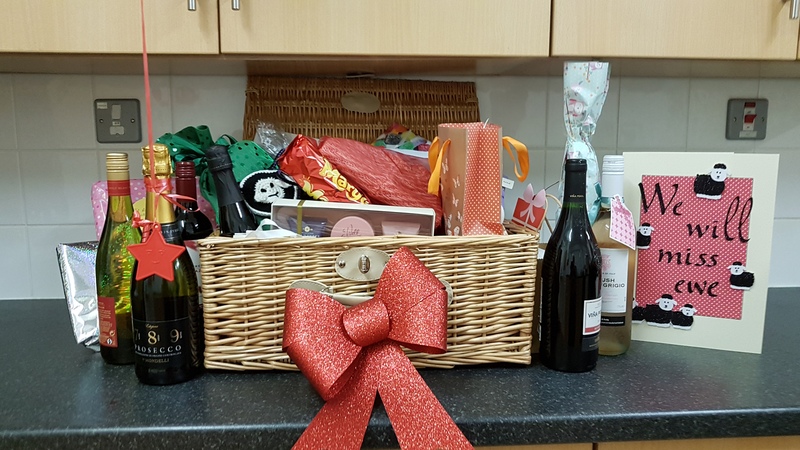 I was impressed by the devotion of the staff and helpers who nursed her to keep her comfortable and help look after the families emotional needs at such a difficult time. We did the walk last year when she feeling unwell and this year we tried to give something back and to ease the burdan of costs of this important charitable care. On the day of the walk, it started with a few of us being asked to sing on BBC Radio Bristol. 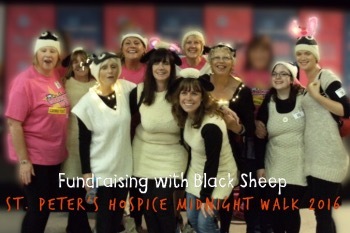 We had the crazy idea that this year we would dress as Sheep. So there we were at the BBC Bristol at 8am looking sheepish on the street. It didn't last long as one interview later and a song later live on the radio, our confidence had grown. Then we started busking in a cafe, on the street outside the charity shop and city museum. Later in the day, it was time for the walk. Some of us arrived just in the nick of time to be dragged straight onto the stage to sing to the crowd of a few hundred women in a sea of pink, flashing bunny ears and carnival gear who were also taking part. Lazy Day was the song of choice and the ladies loved us. The walk was long going, up and down steep hills, singing as we went and it is not quite so easy when you should be tucked up in bed. However as someone aptly said she wasn't dead yet and for that we should be very greatful You can donate at the link below.